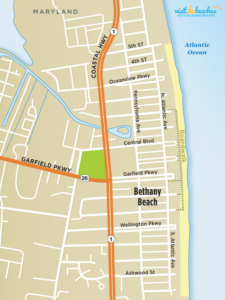 Here is a local map of Bethany Beach, use this map to learn the local streets and navigate around town for your next trip. Illustrations on this website are copyrighted and may not be used or reproduced without permission. Hours are calculated based on posted speed limits. Take Rt. 50 east across the Bay Bridge. 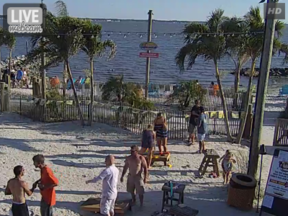 Continue on Rt. 50 to the Rt. 404 intersection. Turn left onto Rt. 404. Stay on Rt. 404 until Bridgeville, DE. Rt 404 becomes Rt. 18 at Bridgeville. Stay on Rt. 18 to Rt. 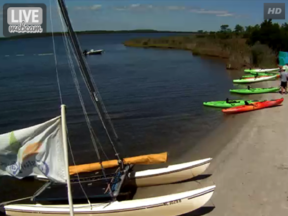 113 at Georgetown, DE. Rt. 113 South to Rt. 26 east (for Selbyville continue on Rt. 113 south). Turn left onto Rt. 26 Take. Rt. 26 east to Rt. 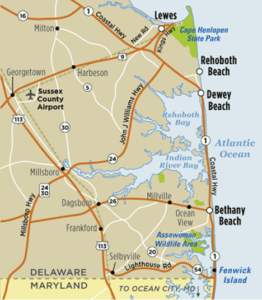 1 (Coastal Highway) to Bethany Beach. Take Route 50 East over the Chesapeake Bay Bridge. Follow Route 50 after the bridge. Take a left onto Route 404 East. Continue on 404 East. 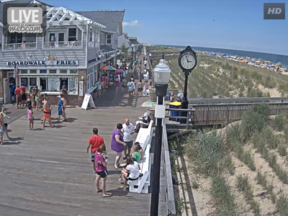 At the circle in Georgetown, Delaware, take Route 9 East. Turn right onto Route 1 South. Get in your left-hand lane on Route 1 South. 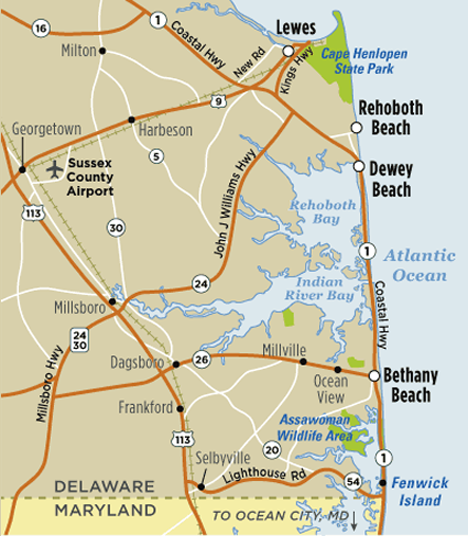 Follow Exit 1-A (on the left) for Rehoboth Beach Avenue Access. 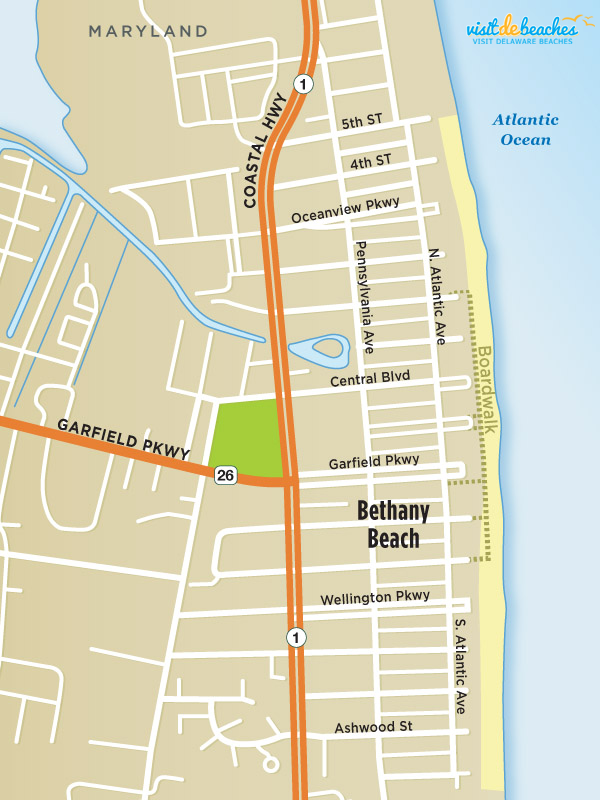 At the Circle on Rehoboth Avenue, make your second right to continue on Rehoboth Avenue towards the Boardwalk.